Know what the world probably doesn’t need? Another pussyhat knitting pattern. And, yet, here we are. Because, while I really appreciated both the idea and the need for beginner accessibility behind the original knit-flat pussyhats, I just didn’t like how they fit. So, I wrote my own pattern. Which, as it turns out, is also very easy to knit, just maybe not quite this-is-the-first-thing-I’ve-ever-knit easy. Instead of being knit flat, my pussyhat pattern is worked in the round and grafted closed at the top, so there’s no side seaming. You’ll also end up with a hat that’s a bit shorter than you’ll get with many of the other pussyhat patterns out there. That’s on purpose! It takes advantage of the fact that your head is (presumably) round, and makes the ears stick out a bit more than they do on the taller versions of the hat. This is my go-to pattern, and I’ve already released a good many of these pussyhats into the wild. 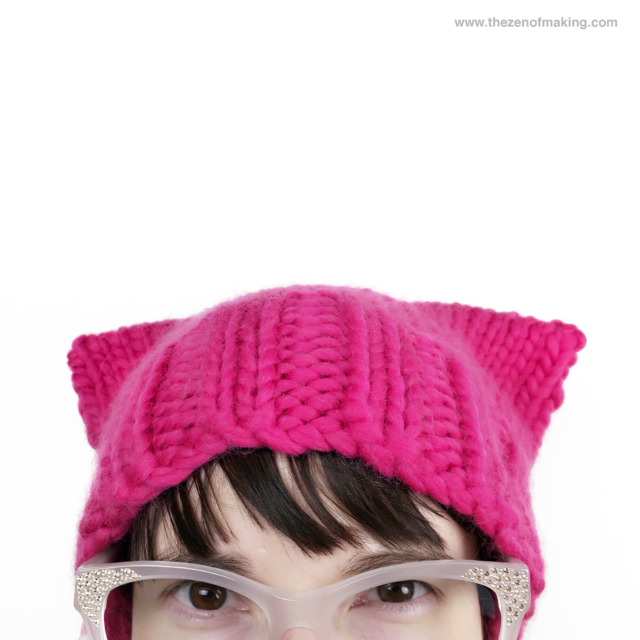 And, with more future protests and marches on the horizon—especially the upcoming March for Science—the time to knit pussyhats is obviously still upon us! 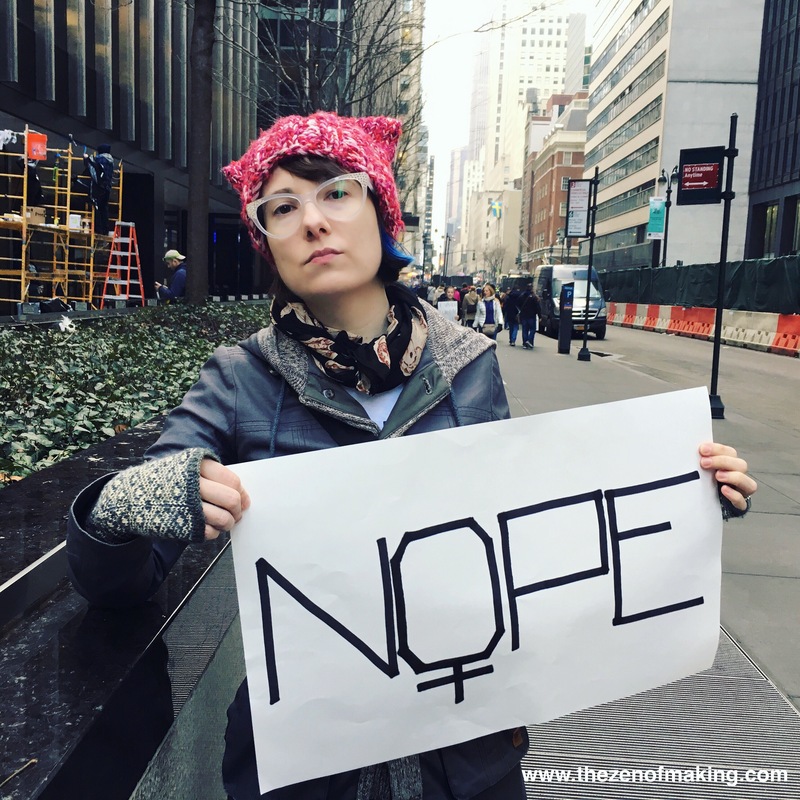 So, here’s my (arguably unnecessary, but inarguably enthusiastic) contribution to the world’s growing pussyhat-making pattern library. Gauge in stockinette: 6 stitches and 8 rows = 2"
Measurements of finished hat: Measured flat, the hat is 7½" tall and about 9" wide (unstretched)/12" wide (fully stretched) at the opening. Sizing: This hat is is sized to fit a small to medium-sized adult (20" to 23" head circumference). 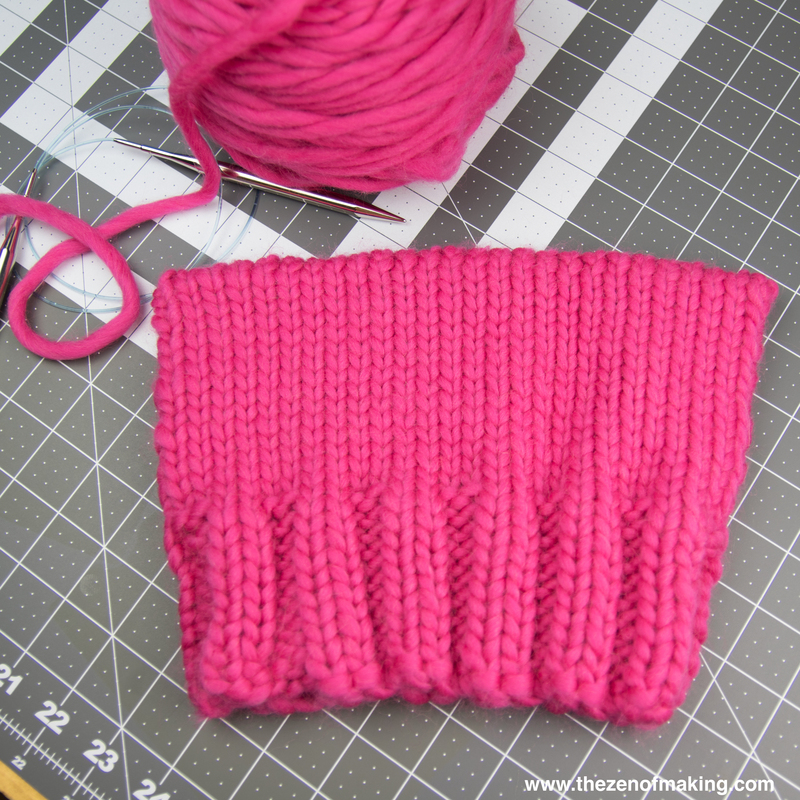 Work in K2, P2 ribbing for 4". Knit (work in stockinette) for 3". 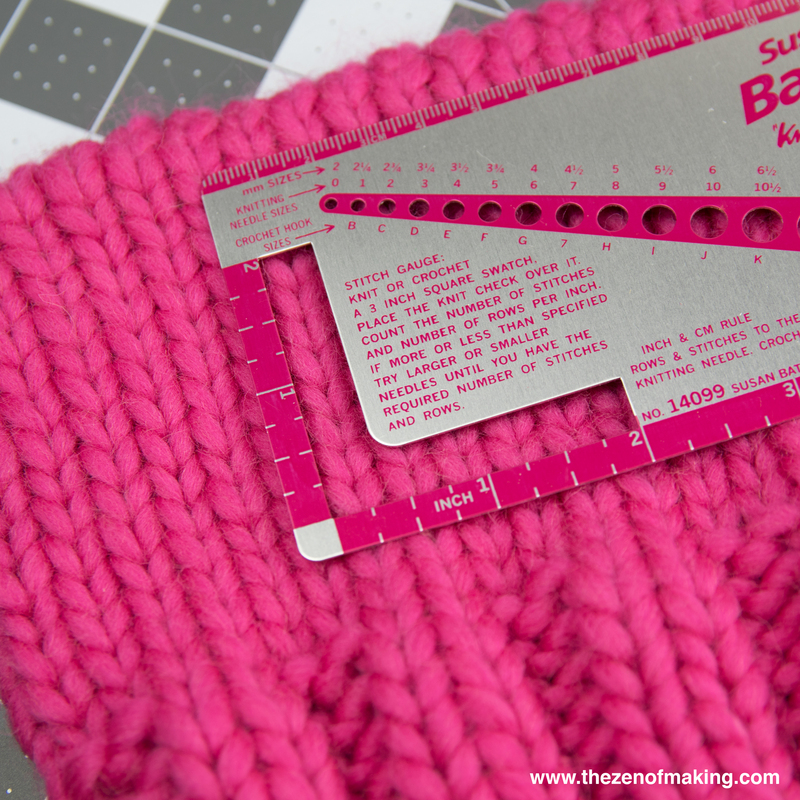 Using the stitch markers as a guide, fold the hat in half so that you have 26 stitches on each side. Remove the markers, then graft the top of the hat closed using kitchener stitch. Looking for something special to wear to the March for Science? 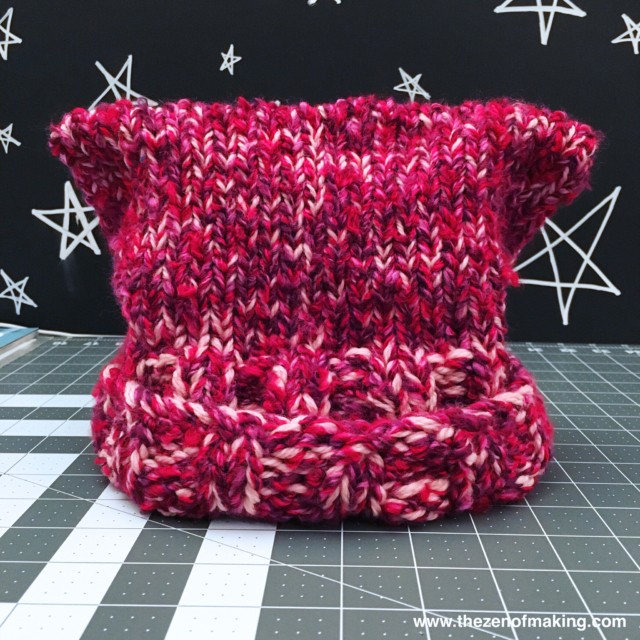 Next week, I’ll share a tutorial for using a duplicate stitch technique to customize the pussyhat you already have for upcoming marches. Until then, knit, persist, and resist!